Used cars. 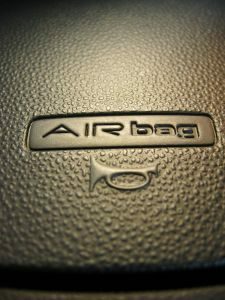 It is legal per federal law for air bags or other parts that may be subject to recall to be taken out of vehicle that have been in collisions and sold to junkyards and even repair shops. Neither the shops nor the buyers may have any idea that the devices were recalled – and there is no government agency that monitors such transactions to be able to tell them. Further, there don’t appear to be any states that have passed any laws barring the reuse of recalled auto parts. This is a glaring legislative loophole with dangerous consequences, as revealed in a recent crash in Nevada. The collision was minor, but the exploding airbag in her 2002 Honda Accord nearly killed her. Shrapnel from the airbag pierced her neck and greatly damaged her vocal cords. Her wounds were life-threatening. As the Times reported, the young woman survived, now among the 200 or so injured by the inflators, which combust when the chemical inside deteriorates. However, what is different about this case compared to the others is that the vehicle she was driving was not one of those for which an airbag recall was issued. Her father had purchased the used vehicle for her a year earlier. The airbag inside the vehicle wasn’t an original model. In fact, what her father didn’t know was that the 2002 vehicle had been in a horrible collision in 2015, and the insurance company declared it a total loss. However, the car was given a salvage title and resold, repaired and resold. In the course of the repairs, an air bag from a 2001 Honda Accord was installed in the 2002 model. That airbag was either removed by salvage yard and might even have been stolen. All this comes down to the fact that an 18-year-old woman was driving a vehicle with no idea that the driver’s side airbag was dangerous and had been recalled. 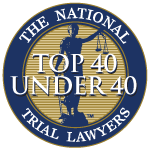 As our Fort Myers product liability lawyers can explain, a recall in and of itself does not absolve vehicle manufacturers from liability in these cases. Other entities that could be responsible to pay damages to a victim in a case like this include the salvage yard, the repair shop and the seller of the vehicle. Essentially, anyone in the chain of distribution could be liable in civil court, even if they did not technically violate any state or federal statutes. What we don’t know is how many salvage titles are sold each year, though the Times reported several sources who estimate it’s likely in the thousands. More than a dozen people have died and hundreds have been injured by these Takata inflators, sparking one of the biggest auto recalls in U.S. history – 69 million in the states and 100 million globally. If you have been injured by a defective vehicle or defective vehicle part, an experienced attorney can help explain your legal options.